Many congratulations to Lizzie Cantopher of our club who has qualified for the National Series Grand Final in Nottingham on 30th & 31st August. Lizzie came third in on the Sunday of the stage 6 event of the series at Exmouth, being beaten by Amy Oliver and Naomi Folkard. Fantastic news. Our congratulations also to John Bull of Targetcraft in the county who has also qualified. 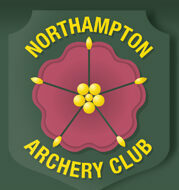 Read the full story on the Archery GB website.